There is a widespread misconception that the use of charcoal (charbon in Kreyòl) is responsible for Haiti’s massive deforestation. Charcoal supplies 75% of energy used in Haiti. Without it, Haiti would be much more dependent on international energy suppliers and aid.Deforestation is caused by farmers clearing land for farming, often planting erosive crops such as corn and beans on mountainsides inappropriate for such crops. When trees are cut for charcoal, the roots are left, and the land is not plowed. Mesquite forests, Kasya, and Neem are repeatedly cut for charcoal because the trees coppice (re-sprout) and can be cut again in several years. The value of charcoal in the Port-au-Prince market in 2007 was estimated at between US$110 and US$150 million. In comparison, Haitian mango exports were about $12 million in recent years (which does not include, of course, the sizable value of domestically-consumed mango). Cacao exports are $8 million. Supply has kept up with demand. The real value of charcoal has not increased substantially since 1978, despite Haiti’s population doubling, thereby increasing demand for charcoal. In 1978, a 30kg sack of charcoal sold for $3 in Port-au-Prince. In today’s dollars, that’s $11.11 or 721 Haitian gourdes (HTG). Farmers in the southwestern city of Jérémie recently told me their price is 500HTG per sack, about US$7.38. Unless there has been a major decrease in the size of the sack since 1978, the real value of charcoal has not increased substantially. Charcoal would be getting more expensive if all the trees used to make it had been cut and not allowed to regrow. What seems to have escaped most observers and commentators is that much of the wood for charcoal comes from trees that coppice after being cut down. In 1978, USAID had a reforestation project in the northwestern town of Jean Rabel. It reported that “while 2,000 ha [hectares] of trees are being planted through the […] Project, charcoal producers will be busily cutting down some 53,000 hectares of trees. The rate of deforestation will exceed reforestation by a factor of 25.” However, the report also notes that “approximately one million ha/yr of the total forest cut naturally regenerates.” The focus has been on how much is cut, but little is made of the fact that many of the cut trees coppice, and the charcoaler comes back in 4-6 years and cuts them down again. Charcoal saves Haiti substantial amounts of foreign exchange. It is estimated that Haiti spends about 55% of its foreign exchange on energy. Haiti gets 75% of its energy from local, renewable sources. If Haiti had to purchase all of its energy from foreign sources, it could purchase only 50% of its energy needs using all of its foreign exchange. Haitian trees provide the largest portion of the energy used in Haiti, however, existing methods of making charcoal allow 75% of the energy in the wood to be wasted. Thus, renewable energy from wood equal to more than double the amount of non-renewable energy that Haiti imports each year is wasted/lost in the traditional charcoal-making process. This loss is partially the result of the unwillingness to recognize the “elephant in the room” i.e. 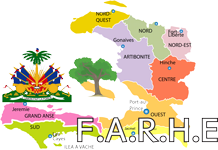 the misguided government policies relating to charcoal in Haiti. It is generally understood by science-guided individuals that wood-based energy is relatively carbon-neutral while non-renewable energy is carbon-positive and is a major cause of climate change. Current policy punishes charcoal for largely solvable problems while promoting non-renewable energy which carries the largely unsolvable problem of adding prehistoric carbon to the current atmosphere.Merchants sell charcoal in open-air markets throughout Haiti. In Jérémie, a sack of charcoal costs about 500 gourdes or US$7.38. Modern charcoal making techniques are available that capture and use much of the energy not captured now. Wood gasifiers produce woodgas that can be used to bake bread or fuel engines to produce electricity or pump irrigation water. Small-scale gasifiers are being used by rural women for cook family meals – and the by-product is charcoal. If Haitian women, rather than men, produced charcoal in small-scale wood gasifying stoves (charcoal retorts), they would likely use the previously wasted heat for cooking and produce charcoal as a marketable by-product. Concerned professional and non-professional engineers/inventors have largely solved the challenge of safely venting the exhaust from household-scale wood and charcoal fueled stoves. The “problems” associated with charcoal production and use can be solved if government policy encourages the search for solutions rather than mistakenly blaming charbon for Haitian deforestation. With appropriate policy, the Haitian charcoal industry can be encouraged to purposely plant fast-growing energy gardens to protect eroding hillsides, water sources, and national parks, while continuing to provide income to much of the rural population and save much of Haiti’s foreign exchange that would be spent on imported, non-renewable fuel.Charcoal is also an excellent fertilizer, thereby reducing the expense of and dependence on petroleum-based imports. Haitian policy relating to charcoal is inconsistent. On one hand, the Haitian government discourages charcoal production in Haiti. At the same time, it illegalizes charcoal importation from the Dominican Republic, a measure which directly protects and supports the Haitian charcoal industry. Charcoal maybe the only Haitian industry that receives “import tariff” protection. 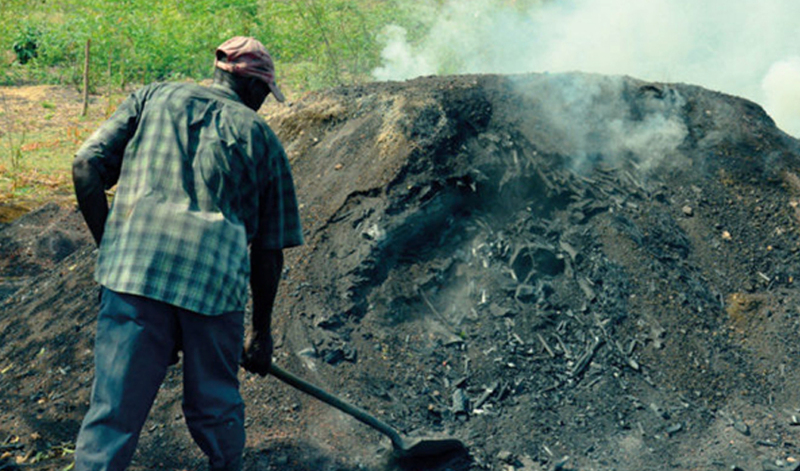 Even the World Bank recently published an interesting 2011 report on charcoal use in Africa. “In contrast to its economic potential, environmental implications, and importance for the energy security of a majority of the [Sub-Saharan Africa] population, the charcoal sector is currently viewed almost entirely negatively in most countries,” the report states. “Prevailing policies and laws tend to focus on regulations, enforcement, restrictions, and, where possible, moving from the sector altogether to other energy sources. However, if the sector was formalized, and involved modern, supportive policies, this could create employment opportunities and further broaden the revenue base for national and regional governments.” Similarly, charcoal policy in Haiti could and should be rationalized. © 2017 Farhe, LLC. All Rights Reserved.